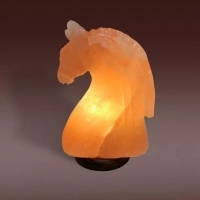 Type:Horse Shape Lamp Use: Home Decoration Size: 6'' Specification: Stainless steel screw, wooden base Style:Antique Imitation Packing: 4 Pcs packed in box, 4 Pcs Master Carton Place of Origin: Pakistan Port: KARACHI The beautiful warm glow of Natural Shape Himalayan Lamps creates a soothing, relaxing, calm and tranquil atmosphere. 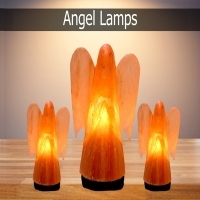 Use them in bedrooms, living rooms, hallways, meditation rooms, therapy rooms, waiting rooms and for positive energy, near televisions (Features of Himalayan Natural Rock Salt Lamps) Finely crafted polished wood base styled "rounded steps" Lamp comes complete with 6" UL Listed Power Cord with On/Off Switch, Polarized Plug and 15W Bulb. 950 ~ 1050 ionic/cc. Treatment area is 64 square feet*. Electricity Consumption is 30 Watt. Estimated life is 4+ Years. 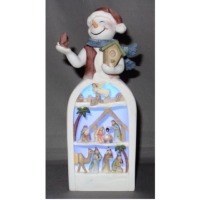 Type:Camel Shape Lamp Use: Home Decoration Size: 6'' Specification: Stainless steel screw, wooden base Style:Antique Imitation Packing:	4 Pcs packed in box, 4 Pcs Master Carton Place of Origin: Pakistan Port: KARACHI The beautiful warm glow of Natural Shape Himalayan Lamps creates a soothing, relaxing, calm and tranquil atmosphere. 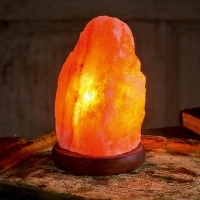 Use them in bedrooms, living rooms, hallways, meditation rooms, therapy rooms, waiting rooms and for positive energy, near televisions (Features of Himalayan Natural Rock Salt Lamps) Finely crafted polished wood base styled "rounded steps" Lamp comes complete with 6'' UL Listed Power Cord with On/Off Switch, Polarized Plug and 15W Bulb. 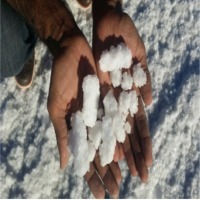 950 ~ 1050 ionic/cc. Treatment area is 64 square feet*. Electricity Consumption is 30 Watt. Estimated life is 4+ Years. 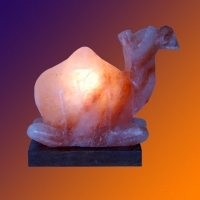 Type: Angle salt lamp Use: Home Decoration Size: 6'' Specification: Stainless steel screw, wooden base Style:Antique Imitation Packing: 4 Pcs packed in box, 4 Pcs Master Carton Place of Origin: Pakistan Port: Karachi The beautiful warm glow of Natural Shape Himalayan Lamps creates a soothing, relaxing, calm and tranquil atmosphere. Use them in bedrooms, living rooms, hallways, meditation rooms, therapy rooms, waiting rooms and for positive energy, near televisions (Features of Himalayan Natural Rock Salt Lamps) Finely crafted polished wood base styled "rounded steps" Lamp comes complete with 6'' UL Listed Power Cord with On/Off Switch, Polarized Plug and 15W Bulb. 950 ~ 1050 ionic/cc. Treatment area is 64 square feet*. Electricity Consumption is 30 Watt. Estimated life is 4+ Years. Short on time? 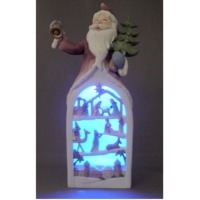 Let salt-lamp sellers contact you. 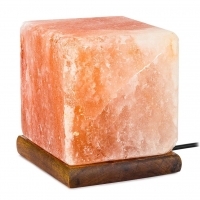 Type: Cube salt lamp Use: Home Decoration Size: 6'' Specification: Stainless steel screw, wooden base Style:Antique Imitation Packing:	4 Pcs packed in box, 4 Pcs Master Carton Place of Origin: Pakistan Port: KARACHI The beautiful warm glow of Natural Shape Himalayan Lamps creates a soothing, relaxing, calm and tranquil atmosphere. 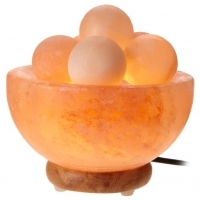 Use them in bedrooms, living rooms, hallways, meditation rooms, therapy rooms, waiting rooms and for positive energy, near televisions (Features of Himalayan Natural Rock Salt Lamps) Finely crafted polished wood base styled "rounded steps" Lamp comes complete with 6'' UL Listed Power Cord with On/Off Switch, Polarized Plug and 15W Bulb. 950 ~ 1050 ionic/cc. Treatment area is 64 square feet*. Electricity Consumption is 30 Watt. Estimated life is 4+ Years. Type:Fire Bowl Balls Lamps Use: Home Decoration Style: Antique Imitation Specification: Stainless steel screw, wooden base, Size: 6 Packing: 4 Pcs packed in box, 4 Pcs Master Carton. Place of Origin: Pakistan Port: KARACHI The beautiful warm glow of Natural Shape Himalayan Lamps creates a soothing, relaxing, calm and tranquil atmosphere. 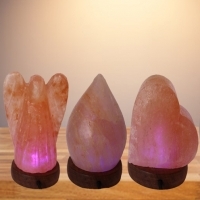 Use them in bedrooms, living rooms, hallways, meditation rooms, therapy rooms, waiting rooms and for positive energy, near televisions (Features of Himalayan Natural Rock Salt Lamps) Finely crafted polished wood base styled "rounded steps" Lamp comes complete with 6" UL Listed Power Cord with On/Off Switch, Polarized Plug and 15W Bulb. 950 ~ 1050 ionic/cc. Treatment area is 64 square feet*. Electricity Consumption is 30 Watt. Estimated life is 4+ Years. 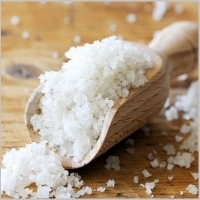 Salt lamp is made from rock salt. Its good for Sleep /attitude /depression /stop snoring /learning /pet orders & others. 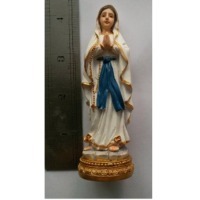 Weight-each piece- 2-3 kgs Small circular wooden base.